Now let’s get started with a business scenario. Let’s say, we need to share a monthly report in the specific format to a client in a secured shared location like SFTS, i.e. at the beginning of every month, we need to send the file to a client for the previous month. In this scenario, we’ll try to create the stored procedure to generate data and export that data to the flat file (.txt or .csv). 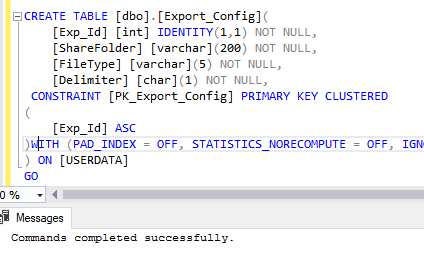 How to import and export the SQL data? 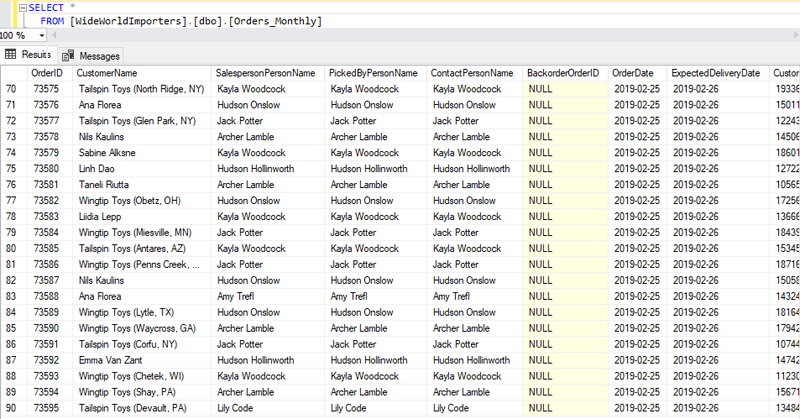 Using SSMS, Run the Query in the Query window and export or SQL Server import & export wizard. 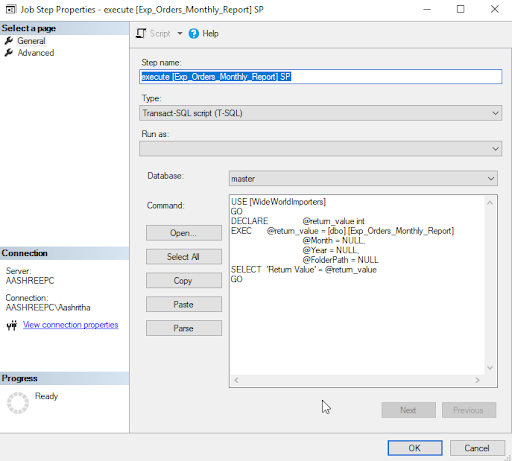 Using SSIS – Creating a package using SSDT. Using C# – Create console or win Application to export. 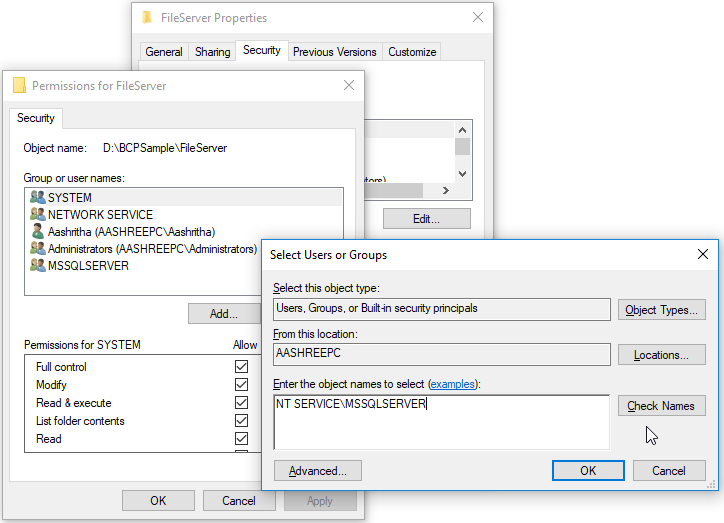 BCP (Bulk copy program) utility is a command-line utility to copy data between an instance of MS SQL Server and a data file in a user-specified format. 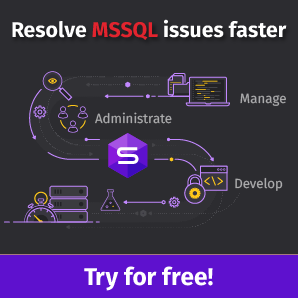 We can export and import large amounts of data in and out of the SQL Server databases quickly and easily. Bulk data export from a SQL Server table into a data file. 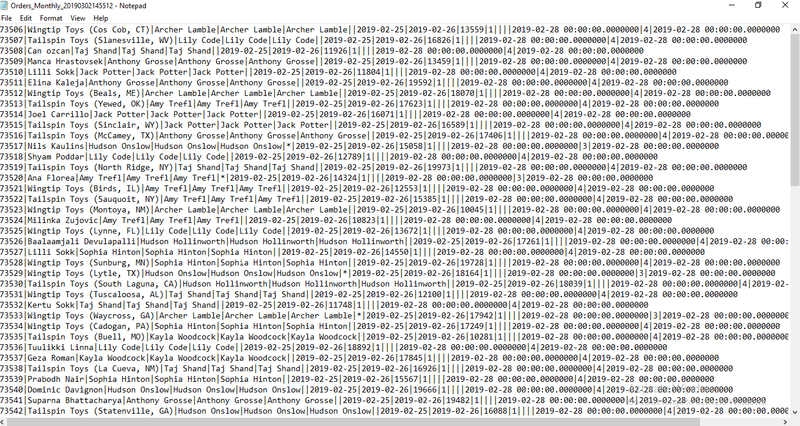 Bulk data export from a query/Stored Procedure. 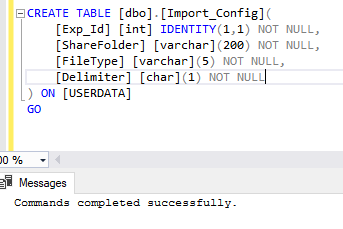 Bulk data import from a data file into a SQL Server table. Generation of the format files. You can find more details about BCP Utility here. 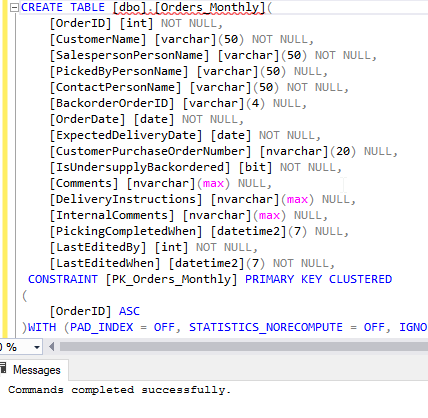 Create a Stored procedure to generate the monthly report data. 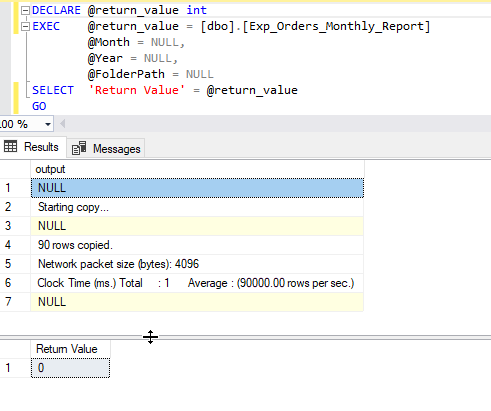 First, create the dependent objects for the export Stored procedure. 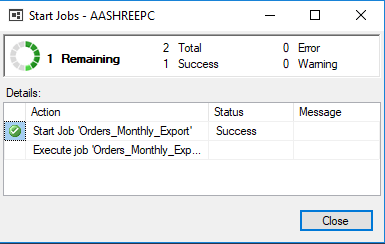 The Orders_Monthly_Temp_Table table: this temporary table is used to store the monthly orders data in a specific format to export that to text file i.e. in our case concatenating all the columns into one row with delimiter “|”. The Export_Config table: this table is used to store export configurations i.e. shared folder path, flat file type, delimiter. Here the year and month parameters are optional. If a month is not specified it takes the previous month and if the month is 12 we have to take the previous year, because if we are generating the report in jan’2019 for Dec’2018. If a year is not specified, it takes the current year And Folder path is Mandatory. In this example, we are using Bulk Insert to import data from the file. We can also use Openrowset etc. 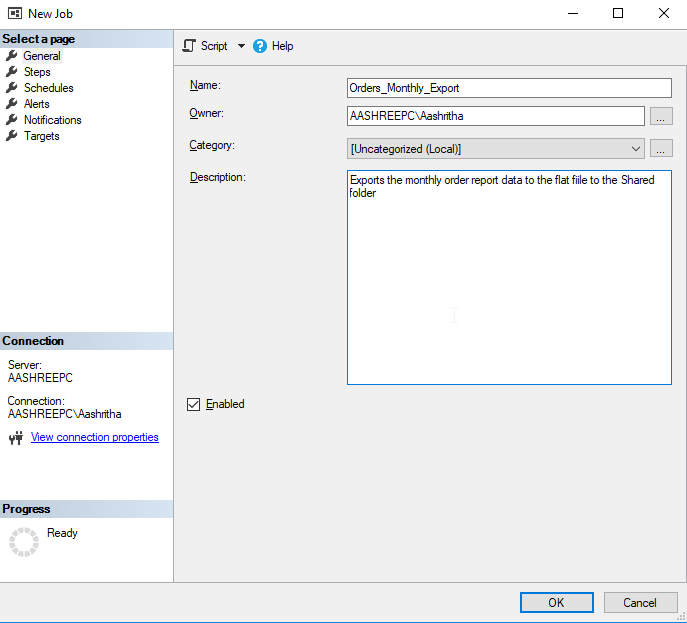 Create a Stored procedure to Import the data from a flat file in the Shared folder. 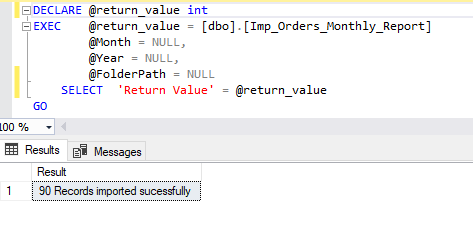 First, create the dependent objects for the import Stored procedure. The Orders_Monthly table: this table is used to store the monthly orders data from the flat file. The Import_Config table: this table is used to store import configurations i.e. shared folder path, flat file type, delimiter. Same as in the export Stored procedure. For running the export and import process automatically in a scheduled time. let’s say we need to run the export on the first day of the month at 12:00 am of the month for the last month report and run the import later. So we need to create the SQL Job for that. 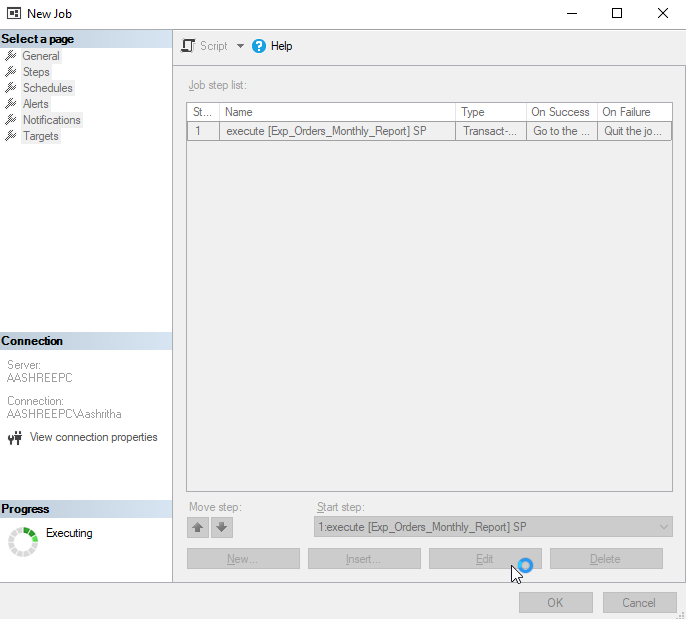 Steps to create the SQL Job for Export and import. Then go the Steps tab → Click New Button in the bottom → a new Job Steps window opens → Enter the Name = “execute [Exp_Orders_Monthly_Report] SP” and Type = “Transact-SQL Script (T-SQL)” → Paste the following script in the Command text area and Click OK.
Then Go to the Schedule tab → Click New Button at the bottom → a new job Schedule window opens. Enter the Name = “Order Monthly Schedule” and enter the following details and Click OK → Again Click OK in the New Job window. The job would be created successfully. Delete all the files in the Shared folder for testing. We can see the file is created in the Shared folder. 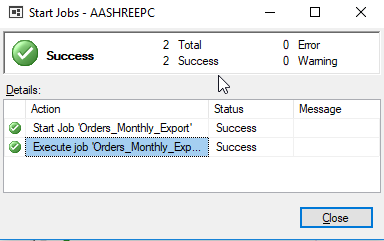 Note: Kindly follow the above steps to create the SQL job (Orders_Monthly_Import) for Import too. I hope that now you have a better understanding of how to use the BCP utility. Amarendra Babu L is a technical content writer. He always looks for new ways to explore the latest software technology innovations.